I've been running around like crazy the over these last few days. I've been to Costa Rica, Miami, and now Michigan - but don't get me wrong, I love this life I've created for myself. Intentional living was a conscious decision I made when I was really sick with Lyme disease. I remember a very distinct moment when I thought to myself, 'When you get better, you're going to go out there and live the absolute best life you can." And I can definitely say that I've done that. It's not an easy thing to do, though, living intentionally, choosing to see the silver linings, living with gratitude and positivity. Sometimes there are days that are draining, there are people who deplete your energy, there are times when it feels like there aren't enough hours to tackle everything on your list. It's easy to start feeling down, and I don't know about you but when I start to feel that way, I begin to wonder if this whole living intentionally thing is actually just blind naivety. But then I try to reel it in and refocus. Over the years, I've done that with inspirational, uplifting, motivational books, and today I wanted to share five of my favorites from Amazon Audible. 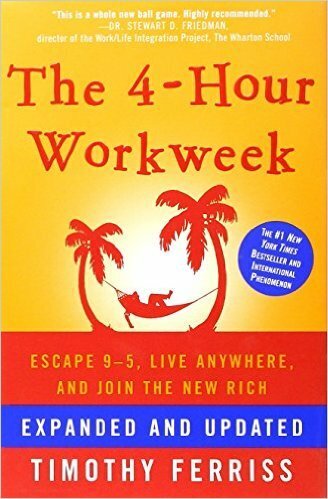 The 4-Hour Work Week - This is a great inspirational read for any entrepreneurs out there who are just getting their business up and running. I don't agree with 100% of what the author says, but there are some major key points that completely changed my thinking about the idea of work and how to earn a living. I highly recommend it. You Are a Badass: How to stop doubting your greatness and start living an awesome life - This is such a fantastic book for anyone who is feeling kind of down in the dumps. I am a firm believer that we all have something to bring to the table, so if you're out there thinking that you might not have anything to bring to the table, this book is for you. Year of Yes: How to dance it out, stand in the sun, and be your own person - Another good one for turning off the Negative Committee inside your head and getting back into positive mode. #Girlboss - This is for my entrepreneurs (and I've totally bought it and sent it to my guy friend entrepreneurs as well!). I love the memoir aspect of it, and it's a quick yet effective read for anyone getting their business off the ground. Lean in: Women, work, and the will to lead - Another one that's good for both men and women. Surely you've heard of it, but if not, it's about women in the workplace, and addresses how to balance it all, and how to live the best possible life you can. I'm looking forward to listening to more inspirational and motivational books this summer, and would love to hear your picks! Let me know down in the comments below. *This post is brought to you by Audible.